At the Green Living Show, where new-and-upcoming ecologic technologies are honoured, the Kia Soul EV received the award for the Greenest Vehicle of 2015. And it has nothing to do with the vehicle's colour. Also: 2015 Kia Soul EV: Best Range in Class! This year, the competition for the award was comprised of a wide range of vehicle. Each had previously won it's own sub-category: the Porsche Cayenne S E-Hybrid for rechargeable hybrids, the Honda Accord Hybrid for vehicles with conventional hybrid drivetrains, the Volkswagen Golf TDI for cars with internal combustion engines, the Kia Rondo for 3-row vehicles and the MINI Cooper S in the sporty car category. As for the Kia Soul EV, it had already won in the electric vehicles category. After careful deliberation, the jury awarded the prize to the small electric Kia. This is not even the first distinction that the Kia Soul EV won this week; the Automotive Journalists Association of Canada (AJAC) rewarded the Korean vehicle with its own 2015 Canadian Green Car of the Year award. 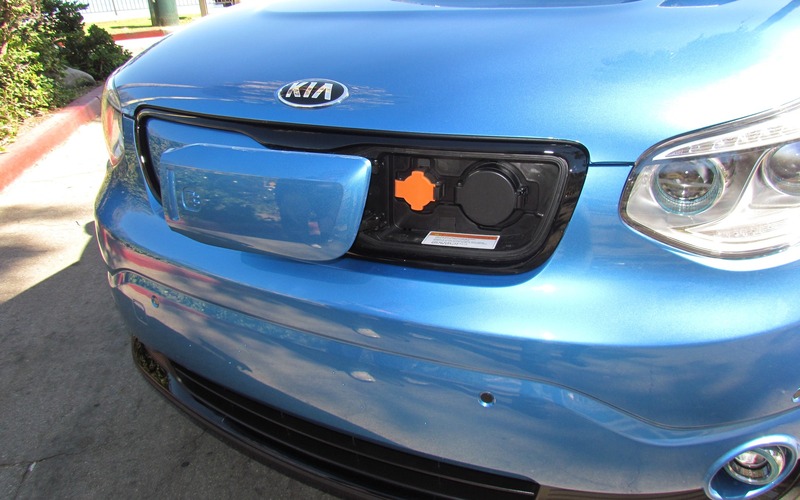 First Drives 2015 Kia Soul EV: Best Range in Class!